Behind the hollow sparring over the border wall and government shutdowns, the ground is shifting under President Trump and the political pendulum is swinging toward a new economic agenda. Even conservative Fox News reports that American voters, by a huge margin, now want to reverse the Trump tax cut of 2017 and increase taxes on the super-rich. The media ballyhoo of the moment trumpets the tax-the-rich proposals from Democratic presidential hopefuls, Senators Elizabeth Warren of Massachusetts and Bernie Sanders of Vermont, and first-term House Democrat Alexandria Ocasio-Cortez of New York. What so alarmed Carlson is the spreading cancer of economic inequality that has been metastasizing for nearly four decades, since the captains of Corporate America abandoned the share-the-wealth stakeholder capitalism that lifted the middle class in the 1950s, ‘60s and ‘70s and replaced it with rampant shareholder capitalism that showers 80% to 90% of the nation’s economic gains to Wall Street hedge funds, the top 1% of investors, CEOs and their corporate minions. Even with low unemployment and a spurt of wage increases over the last year, the typical American middle-class working family takes home less real income than in 1973, adjusted for inflation. The corporate share of national income is at record levels and so is the wealth of the ultra-elite. Paradoxically, recovery has made economic inequality in America the steepest in the western world, more acute than ever because the super-rich have reaped such enormous windfalls of income from the Trump tax cuts and the booming stock market. New York University economist Edward Wolff calculates that 84% of the wealth in the stock market is owned by the most affluent 10%, while in 2016, the last year for which data is available, the wealth of the median or typical household was still 34% below where it stood just before the Great Recession in 2008. 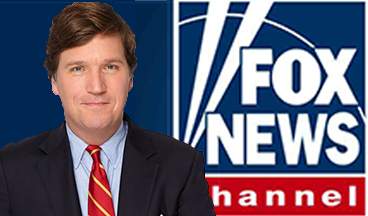 In his astonishing Jeremiad on Fox News, Tucker Carlson did not offer any policy prescriptions. But the growing field of Democratic presidential aspirants is eagerly working on shaving off the pinnacles of wealth and raising the ravines of middle class stagnation. And if Fox News polling is right, their tax-the-rich pitch will resonate with voters despite attacks from potential billionaire candidates like former Starbucks CEO Howard Schultz and former New York Mayor Michael Bloomberg. Among Democrats, Senator Warren has staked out the boldest attempt to break up the hyper-concentration of wealth in America. She proposes a tax on the wealth, not the income, of an estimated 75,000 families at the top – 2% annual tax on net worth of $50 million-plus and 3% for $1 billion or more. “It would make the ultra-rich pay their fair share and generate nearly $3 trillion over the next ten years,” Warren explains. 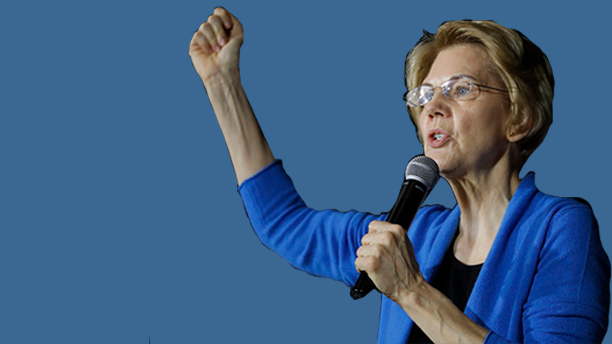 ”That’s money we can invest in rebuilding the middle class.” To combat tax evasion by the super-rich, Warren proposes more funding for the IRS, more audits of the wealthy and a one-time tax penalty for people who renounce their U.S. Citizenship to escape the wealth tax. Ocasio-Cortez has made a more conventional call for a steep 70% tax on high incomes – “once you get to the tippy-tops”- Income over $10 million. Her proposal echoes French economist Thomas Piketty whose monumental study five years ago found that the relentless widening of economic inequality was inevitable under modern capitalism because profits on capital investments grow faster than wages and overall economic growth. The only way to stop that, Piketty argued, was political intervention. His recommendation was an 80% tax rate at the top. 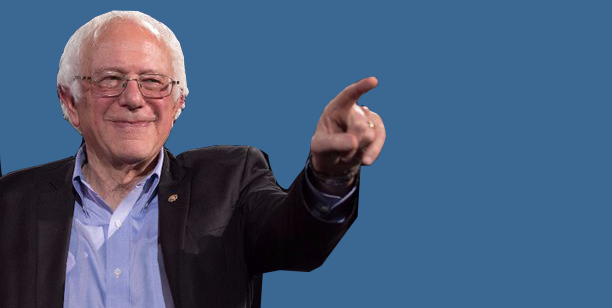 Sanders has targeted the favorite strategy of corporations for channeling the lion’s share of their profits to Wall Street funds, mega investors and the corporate elite – known as “Buybacks,” corporations buying back their own stock to jack up its price. The Sanders’ proposal represents a blowback against the skyrocketing record of $1 trillion in corporate buybacks last year, fueled by the Trump cut in corporate tax rates and the massive windfall in corporate profits it spawned. These buybacks epitomize the economic mechanism that Piketty described in his widely hailed 2014 book, Capital in the Twenty-First Century. But the latest Fox news poll suggests that the tide of public opinion may already be running against the President. The Fox poll, released on January 26, reported that a 51% majority of voters reject more Trump-style tax cuts and lower spending, and instead favor new taxes on the wealthy and more spending on infrastructure, defense, education and health care. The public’s verdict on taxing the wealthy was lop-sided and resounding – a 70% to 24% majority in favor of tax increases on families making more than $10 million a year. Even a majority of self-identified Republicans supported new taxes on high incomes. Hedrick Smith is a Pulitzer Prize-winning former New York Times reporter and Emmy award-winning documentary producer for PBS and PBS FRONTLINE. 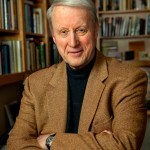 Over five decades as a reporter, editor, producer and author, Smith has established himself as one of America’s premier journalists.